Happy Hour // Monday - Friday 4:00 - 7:00 pm in the lounge and bar. Appetizers and drinks priced $4 - $7 . Valet Parking after 5:00pm with a fee of $8.00. Street and nearby garage parking also available. After 5pm, $5.00 garage parking available with validation. Please see Hostess. Ride the Charm City Circulator, Harbor East stop is less than 1 block and it's complimentary! 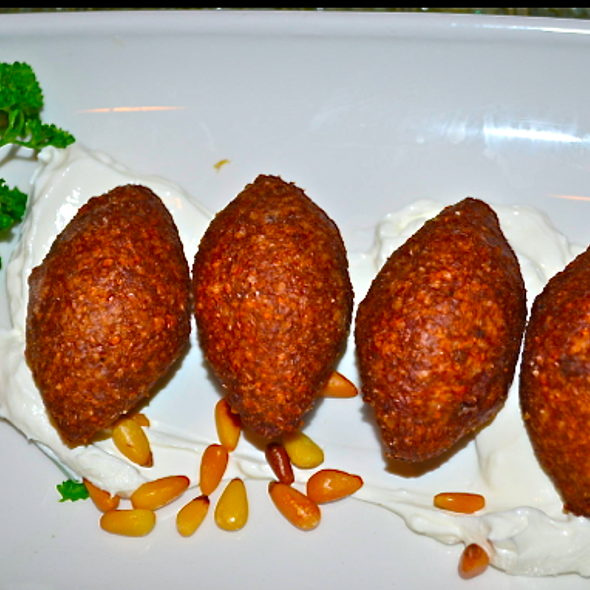 Located a short distance from the Inner Harbor in trendy Harbor East, Lebanese Taverna serves authentic Middle Eastern fare in a casual yet stylish setting. The menu boasts over 25 appetizers and salads as well as a variety of grilled lamb, beef, chicken and fish entrees. There is a large selection of vegetarian dishes, too. To complement your dining experience, choose from our award-winning wine list or specialty cocktails. The restaurant is child-friendly and great for groups of all sizes. Gluten-free menu also available. Lebanese Taverna always delivers. I wouldn't hesitate to go here for date night, a business meeting or family dinner. Service, food and atmosphere are all excellent. Pretty authentic Lebanese food. Pleasantly surprised. Recommend. One of my favorite restaurants in Baltimore! 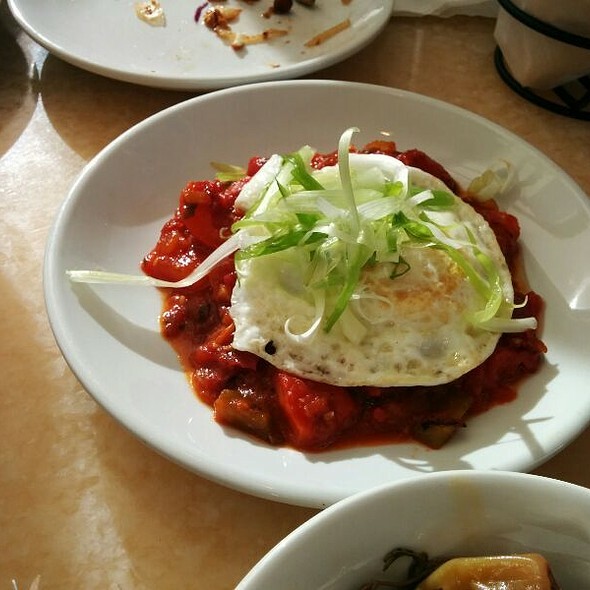 The food is consistently fresh and delicious. Best hommus and pita anywhere! I highly recommend Labanese Taverna! Slow service, food moderate. Price was not bad but not for the service. There is a great opportunity to do better and have an excellent restaurant in an outstanding venue! The ambiance here us very nice. Conveniently located near the pier, inner harbor, 4 Seasons, theater, and plenty of parking garages. The food is very good. 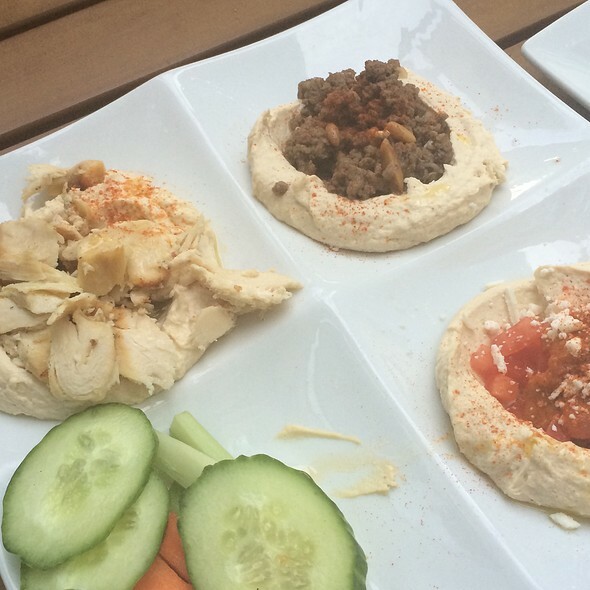 Hummus platter, chicken shwarma, and lamb burger were all hits. Falafel is also very good. Great service. Highly recommended. Three adults with non-alcoholic drinks and shares appetizers came in around $80 plus tip. The food is different so we thought we would give it a try. The place is too crowded and our table was too small. The Chef's Platter had different tastes but it is just not our thing. My entree of Mediterranean Sea Bass was outstanding. The service was adequate but not outstanding as i was never asked for a refill on my drink. The Sangria was very good. It's always an amazing experience eating here! I always make a stop when I come to Baltimore. Thank you! The food was good as before. Our waiter kind of disappeared though the place was mostly empty. We asked for our water to be refilled but it took three asks and fifteen minutes. The food and drinks were excellent. Went for dinner with friends and had a great experience. The lamb and hummus were great! Will definitely be back. Great dining experience with authentic bleed of Lebanese cuisine. We we're here on a date and everything was perfect. Sunday family lunch/dinner - we follow an Italian tradition of Sunday family late-long lunch when we take the time to eat and talk. The food is really good, this time we opt for a combination of meze to share. The portions are decent, we had five meze for three of us. The Baltimore location is great. We do enjoy the food and will return. It’s not on the cheap side in my opinion. However, it’s appear to be in par with restaurants prices these days. flavorful food. service was slow...took at least 30 min to just get bread on the table. server was very gracious and apologetic and accommodating, which helped. would appreciate more vegan options. The service was perfect and the food was out of this world. I can't believe the restaurant wasn't more crowded! Ambience was great! Service is always good! The food was excellent! I have been several times. The food remains very good, with generous portions. This past time the service was pretty slow. The appetizers came quickly, but then there were pretty long waits for the main course, to have that cleared and again to get the check. A pretty regular meal out took more than 2.5 hours. Excellent food and awesome environment to enjoy good food and company. I highly recommend try this establishment. Food was very good, service was excellent, definitely will return. Had a 6:30pm reservation on Valentine's Day with my wife and everything was excellent here. 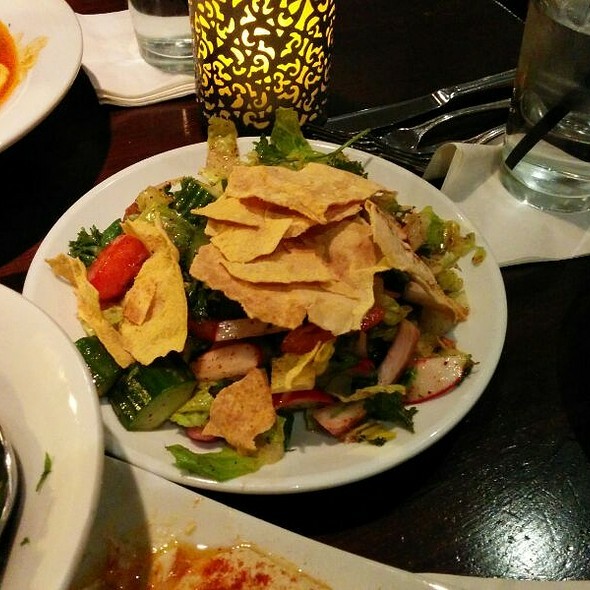 The service was tremendous, the hummus was delicious and we really enjoyed everything overall. Was there for Valentines Day and ordered from the Valentine's Day fixed price menu. The bread and the first two courses, appetizer plates, were wonderful. Everything was fresh and flavorful. 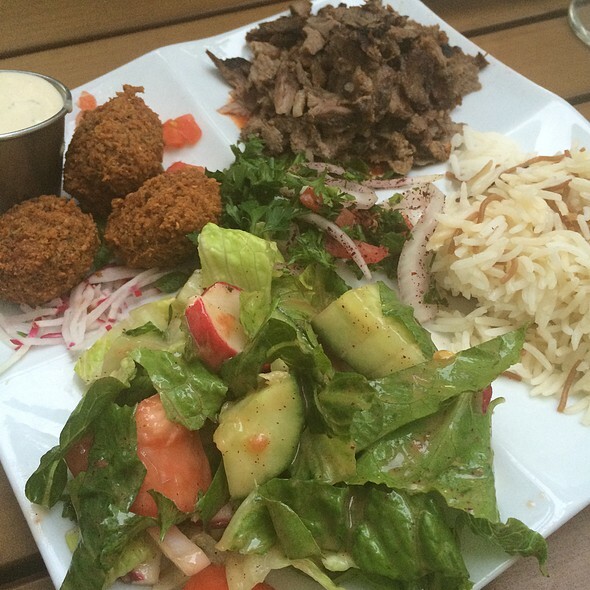 Just as we've known the food at Lebanese Taverna to be in the past. The main courses, however, were bland. The bronzini and shrimp were breaded and fried and dry. The lamb was not flavorful. Not what we expected and hoped for! And not worth the price of the meal. 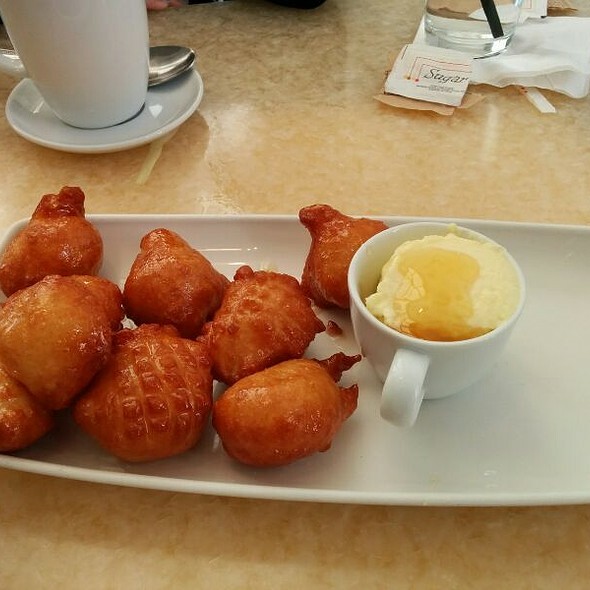 We plan to go back and order the small plates and avoid the main dishes. We loved the food! Our server was so sweet, very friendly & knowledgeable about the menu! We would definitely go back. 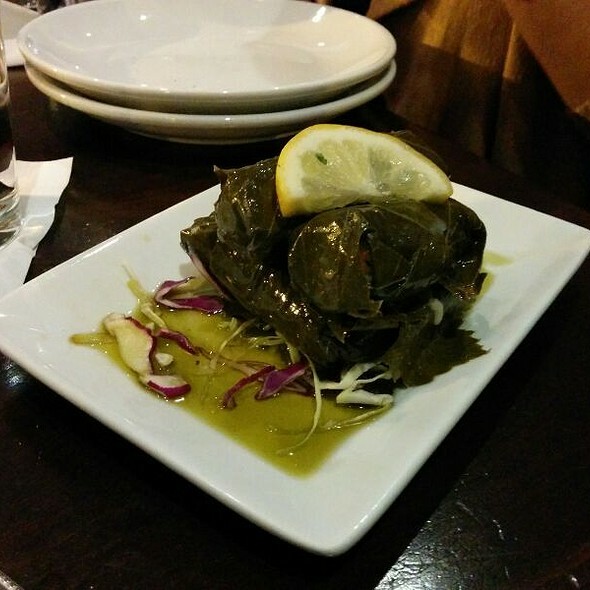 Lebanese Taverna is normally a good experience. This visit was an exception. The restaurant was crowded, but the wait staff was inefficient and ineffective. We sat at a table by a window, along with 3 other tables. All 4 of us had different wait staff. Our waitress had most of her other tables at the other end of the restaurant. We rarely saw her, and it always took a long time for things like getting a check. Sadly, our food was bad as well. My wife's salad came on a HOT dish. My lamb kabob was too well done and very dry. Nice place to try Lebanese and good ambience. must visit place for its location and service. The restaurant is lovely, the service wonderful - spaced out very well, didn't feel like I was rushed, had time to talk to but didn't feel like the food should have already arrived. it was a bit noisy at peak time but still able to converse. The food was very good - wonderful flavors though the chicken and lamb were just slightly overcooked. I have been there many times and will continue to go. Whenever we bring people for the first time they love it and are so happy to know about it. Food was delicious!!! Waiter was very friendly but could have checked up on us a little more often just for little things like water refill and such. Overall a great experience and can’t wait to go back!! We had a quick, small meal prior to attending a movie at a nearby theater. Service was fast and courteous, food was delicious, and room was quiet at 6pm. Wonderful restaurant-food is exceptional, family-friendly, great staff. We had a wonderful dinner here prior to watching a concert at the hippodrome. Our waiter knew that we had to leave at a certain time and he was attentative and made sure that our meals came out in a timely manner. We have not eaten here in a couple of months, so it was good to reacquaint ourselves with the menu. We had the m'saka for appetizers and ouzi with grape leaves as our main entrée. Both were delicious and filling! For dessert we had the awamat, which is a personal favorite. It was warm, simple and decadent! Would definitely return to have dinner again! 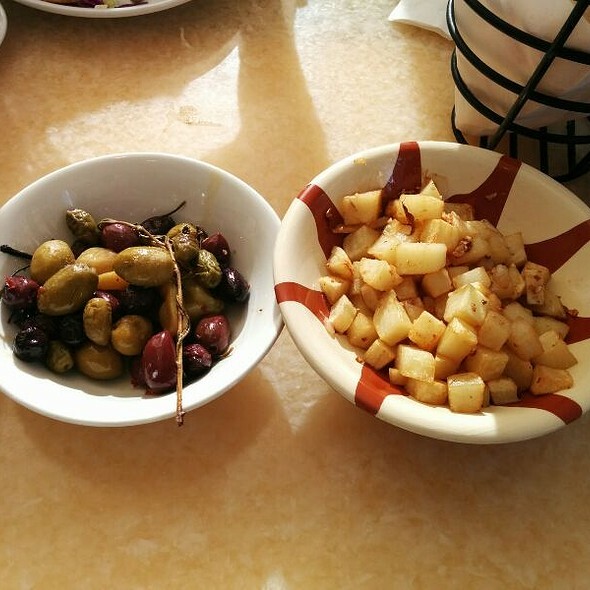 Our first experience with Lebanese cuisine. The wait staff was happy to offer suggestions and thoroughly explained our dishes. The view of the bay was beautiful. Will definitely return. It’s was very loud! So loud I damn near had to read the waitress lips to try to understand anything she was saying. The food was very fresh, which is never a bad thing. Just a heads up “sauté” apparently means deep fried, just so you know. The food itself was good not great. This place was definitely worth trying, not certain I’d try it twice. First time here...won’t be our last! Service was not good. Rarely saw the waiter. Chicken was very dry. Chefs special was decent. For Sunny’s Birthday - all four of us loved the waiter! We had a party of 6 the food was fantastic very authentic. However it was the slowest service I had ever had. The waitress forgot drinks, didn’t refill glasses, forgot food, left food on the pass. Amazing hummus! Wait staff is so kind and accommodating . Sat at the bar during restaurant week. The bartender made excellent food and drink recommendations up and down the menu. Great place for dessert and a drink. Try the cheese crepes!